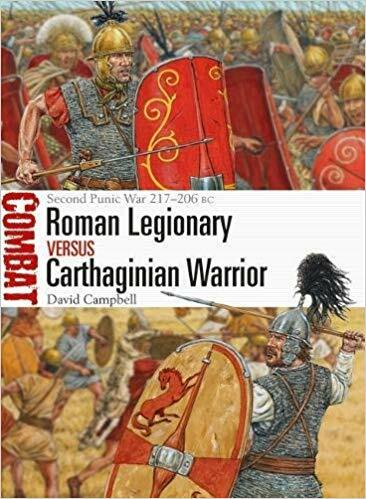 Book Review: Roman Legionary vs Carthaginian Warrior by David Campbell. This book isn’t really about the dynamics and techniques of combat in the second Punic war. Although the brief for all Combat books should be a searching examination and analysis of what all those scholarly military phrases like ‘driven back’, ‘charged’, ‘withdrew in good order’ meant for the often faceless and voiceless ordinary soldier in any particular conflict, it actually makes the mistake that a few Combat authors are making in using it as a vehicle to retell the story of the given war, and examine the larger scale tactics of both sides. This is done with energy and reason by author, David Campbell, however the possibility to really attempt to get under the skin of the battles and soldiering of the Punic Wars is missed. Instead the book focuses on the successes of the generals, Hannibal and Scipio, at Trasimene, Cannae and Ilipa. Images supplied by Adam Hook give one reconstruction of a Roman Hastatus, and an Iberian Warrior, post Trasimene, which will speak to something I noted below, an exciting battle piece between a phalanx and a legionary Hastati Line and a slightly detached melee between opposing light infantry forces. Maps and commentary accompany each battle section, very helpful in the case of the less studied battle of Ilipa. Although a breakdown of the opposing forces allows a view of the organisation behind each army, most of the Carthaginian observations are based on Hannibal’s personal preferences or educated guesses, which were not a standard model of operating and is essentially uninspired in terms of the Roman side. Whereas the recent campaign book on the Battle of Zama did attempt to introduce new theories to th subject of the Republican fighting system. That being said the book cuts excellently to the heart of what Hannibal was able to do well, that being to arrange everything before the battle began and essentially give as few orders as possible, while further noting the strength of the Carthaginian army lay in its diversity and allowing each ethnic group to fight the way it fought best. This title was always going to be difficult, because it is very difficult to identify what a ‘Carthaginian Warrior’ is. Si Sheppard in his book of that title sensibly decided to focus of the Liby-Phoenician infantry, and treat the mercenaries as separate. But here it is never precisely identified what is meant on the cover by, Carthaginian Warrior. Nor is there much of a discussion about the much debated Carthaginian phalanx. It is even stated that Carthage was oligarchic in its society, which seems to speak to the habit of families managing to hold onto important state offices by inheritance. 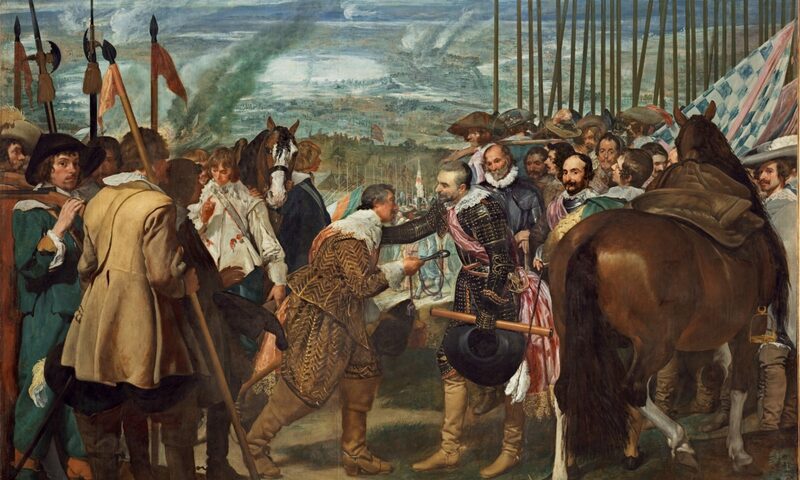 Nevertheless it is a fairly narrow distinction to attribute to the western Mediterranean’s second greatest republic. Because there is no particular focus on any specific class or type of soldier in either the battles or the opposing forces, we have a fairly straightforward account of one of the best known battles in military history, Cannae, a pleasing account of its little brother, Trasimene which really should have ended the war, and a very enjoyable account of the almost invisible battle of Ilipa, which despite by rather disappointed tone here rescues the title from the clutches of well travelled road. This is in the end a good book, but it doesn’t quite do what it says on the tin. Previous PostPrevious Book Review: Trapdoor Springfield by John Langeller.